"...What sets Mason apart from other students is his outstanding compositional and arranging skills. His charts are complex, engaging, and show a level of maturity of someone twice his age..."
"...an emerging writer with a solid grasp of the craft of composition and a story to tell..."
Directed by Mason Victoria, the 2016 recipient of the Dave Stillwell Arranging Award, the Sonuskapos Jazz Orchestra (SSJO), an 18-piece big band founded in 2014. 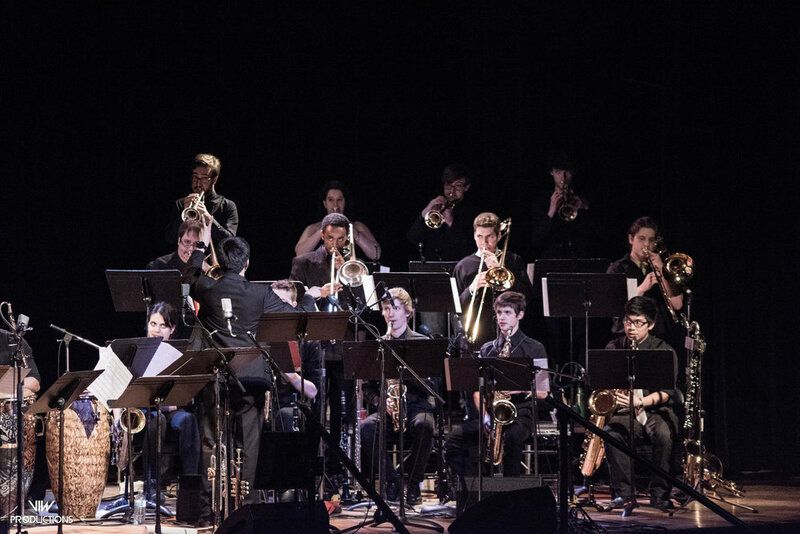 The members of the SSJO consist of some of the finest emerging jazz musicians in the GTA, who collectively aim to inspire and strive to push the limits of contemporary big band by attracting audiences through all-original third-stream compositions and arrangements. The ensemble performs original works by its members, having performed over thirty original compositions and arrangements within its first year of formation. Mason has written over thirty-five works for the the ensemble since its establishment, which have then been featured in SSJO's performances around iconic venues in the GTA including The Rex Hotel Jazz & Blues Bar, The Distillery District, Lula Lounge, Gallery345, and the Burdock.